Capcom Pro Tour was established by the developer in 2014 as a follow-up to the previous year’s inaugural Capcom Cup. Instead of remaining a varied event, however, Capcom Pro Tour shifted Capcom Cup to an exclusively Street Fighter affair, dropping Ultimate Marvel vs. Capcom 3 in the process. Marvel vs. Capcom: Infinite launched in September 2017, making it too late to join the Capcom Pro Tour that year. Instead, a separate event known as Battle for the Stones was created, injecting a few unique gimmicks into the mix for the game’s first official championship. Given enough time to become a regular fixture on the grassroots circuit, it seemed likely that Infinite would be invited to join the Capcom Pro Tour in 2018, and that was the broad expectation in the fighting game community. These expectations were only increased with the accidental release of a proposal by John Diamonon, Capcom’s senior director of licensing and esports, stating Capcom Pro Tour would eventually incorporate Infinite on a yearly basis. That won’t be the case now. While announcing the first two stops of its 2018 circuit, the Capcom Pro Tour made no mention of Marvel vs. Capcom: Infinite. A Capcom rep confirmed to Compete that this wasn’t an oversight, explaining that the tour would focus entirely on Street Fighter V’s recent Arcade Edition update and its upcoming third round of playable characters. Being on the Capcom Pro Tour is important for several reasons. The developers provide additional prize money to participating events, and the tournament at Capcom Cup is a perfect cap to a year of competition. Last year’s Battle for the Stones was important for Marvel vs. Capcom despite the gimmicks, but receiving a spot on Capcom’s official circuit was a crucial step to sharing Infinite with a larger competitive gaming scene that rarely gives anything the time of day without a minimum level of prestige backing it up. It’s no secret that Marvel vs. Capcom: Infinite has had its problems. However, these issues revolve entirely around Capcom’s handling of the release—both during development and after it launched—not the community who flocked to the new game. It seems like Capcom was banking on the community’s fondness for the Marvel vs. Capcom franchise to bolster a rushed and imperfect game, and is abandoning the game now rather than dealing with its imperfections. 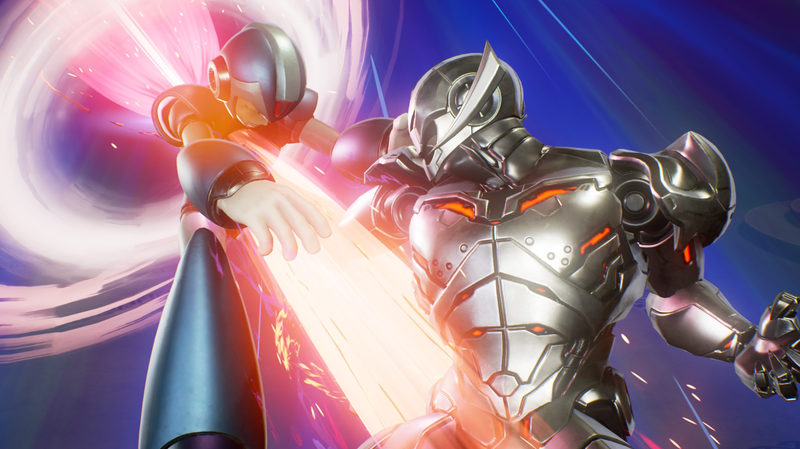 When asked if it was possible Marvel vs. Capcom: Infinite would receive a separate competition like Battle for the Stones, the Capcom rep said the company had nothing else to share. More Capcom Pro Tour details are expected on February 19.